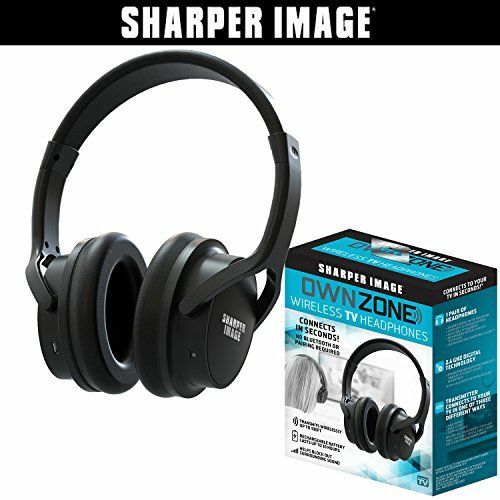 OWN ZONE Wireless TV Headphones- Surrounds you with full stereo sound! 2.4 GHz DIGITAL TECHNOLOGY – Operates On Radio Frequency & Transmits Wirelessly up to 100FT! “DIRECT-CONNECT” – Ready to Use Right Out of the Box! No Pairing Required! RECHARGEABLE Headphones; One Full Battery Charge Lasts Up To 10 Hours!